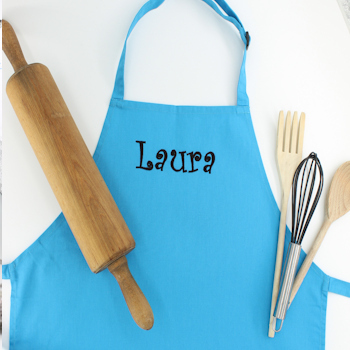 Lovely teal blue chefs apron looks cute and protects childrens clothing while they help cook. Lovely teal blue chefs apron looks cute and protects childrens clothing while they help cook. Useful apron for baking, cleaning or arts and crafts and is made from 65% Polyester and 35% Cotton mix.